Edythe Turnham (Edythe Pane before her marriage to Floyd) was born in Topeka, Kansas around 1890. She moved to Spokane, Washington in 1900 and married Floyd, a carpenter from Texas, in 1908. Edythe played piano from the age of three, and after moving to Spokane, toured with her sister Maggie in a vaudeville act she started. In the early 1920s she gathered her family into a five-piece band, the Knights of Syncopation. 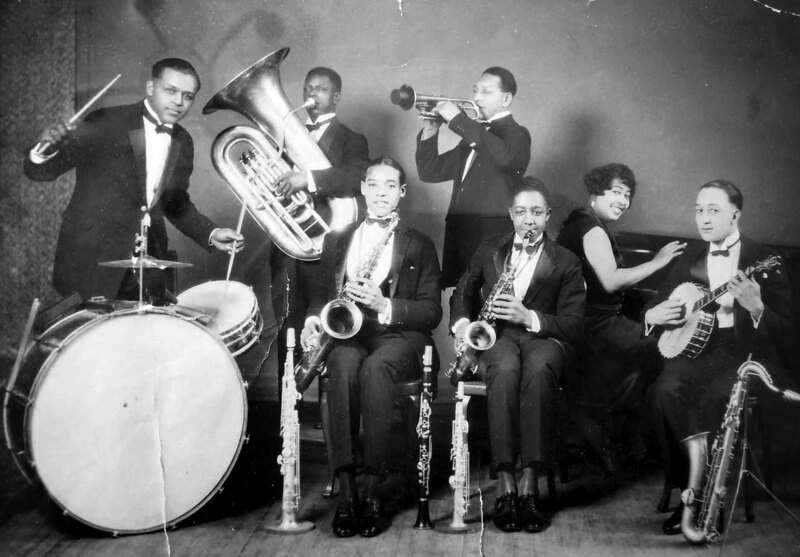 With Edythe on piano, her husband playing the drums, their young son Floyd, Jr. on the saxophone, and her sister Maggie as a dancer and entertainer, they started performing around 12th and Jackson Street (the hub of the Seattle jazz scene) as early as 1922. The Knights were so popular that until Local No. 76 (white musicians’ union) protested, they played all over Seattle, including downtown, where only white musicians were typically allowed to perform. The group toured along the West Coast on the President Line steamship cruises and eventually ended up in Los Angeles. There they changed their stage name to the Dixie Aces and had great success, receiving compliments from top performers of the era such as Duke Ellington. Floyd Turnham, Sr. died in 1936 but Edythe continued to work until 1945. Floyd, Jr. eventually became a prominent and well-known performer in the Los Angeles music scene.